When working a full-time job you’re always looking for some easy dinner’s that you can prep ahead of time, so when you walk in the door all you have to do is pop dinner in the oven. This Chicken Verde Casserole is a GREAT recipe to prep ahead, and it makes some great leftovers as well. 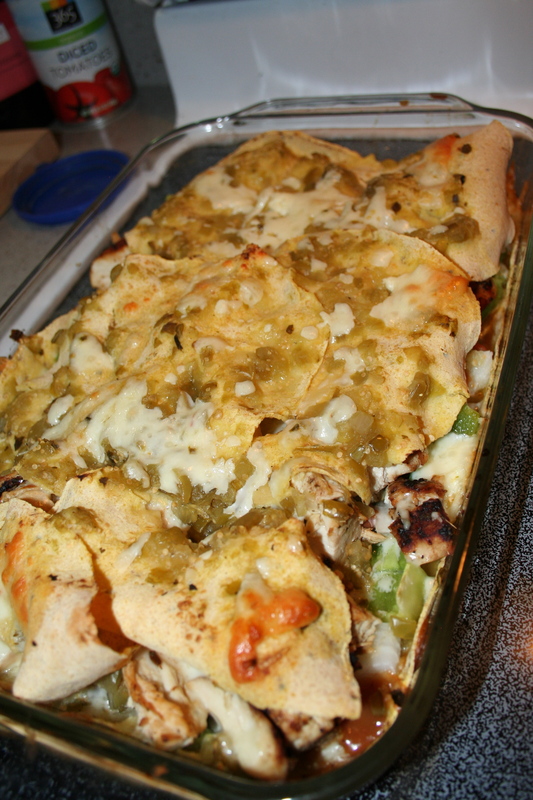 I was inspired by Martha Stewart’s Chicken Enchilada Casserole recipe. This recipe is delicious, versatile, balanced AND gluten free!! Put this on your list for dinner this week, I know you won’t be disappointed. Pre-heat oven to 375. 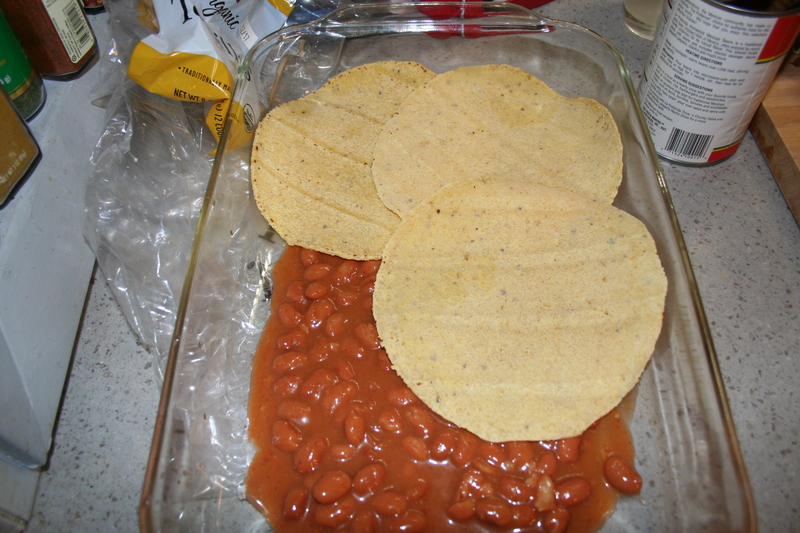 In a large glass baking dish, spread a layer of beans on the bottom of the dish. Add a layer of corn tortillas. 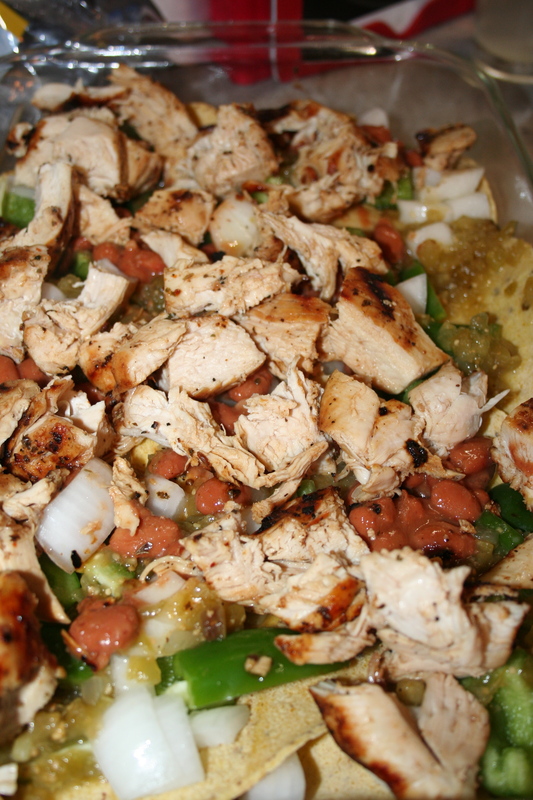 Layer onions, peppers, and chopped chicken. Pour 3/4 jar of salsa verde over the chicken. Sprinkle half of the shredded cheese over pepper, onion, chicken, salsa layer. Add another layer of corn tortillas. Pour remaining salsa verde and sprinkle the remainder of the cheese. Bake at 375 for 20-30 minutes.